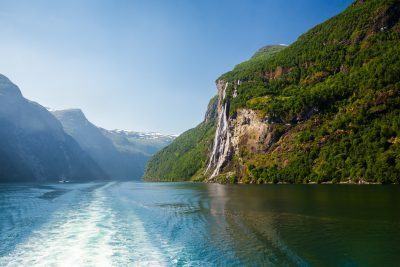 The Norwegian Fjords are best known for the stunning scenery and popular destinations offering warm hospitality, exciting activities and a high standard of accommodation. This self drive holiday encompasses all of these qualities, but also showcases small treasures to be discovered and enjoyed. Step off the beaten track and uncover the fjords at its best. 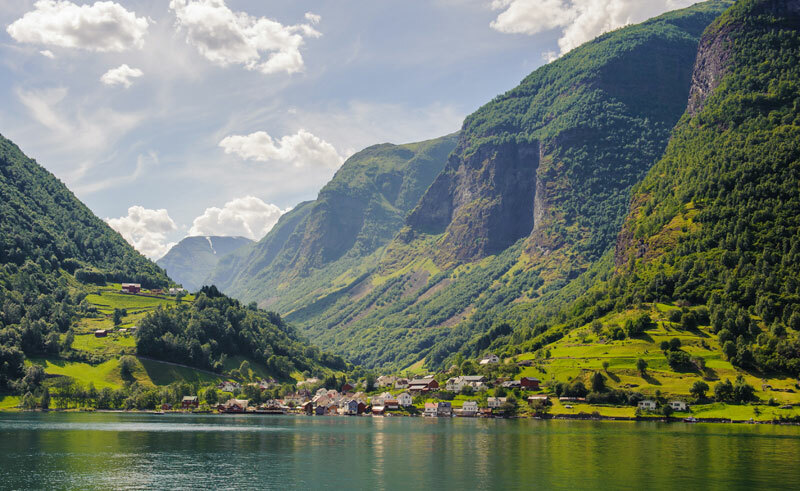 The Hidden Fjords itinerary offers the best of both worlds, with time to marvel at the sheer beauty and magnitude of the fjords with its main attractions, but also a chance to sit back and relax in some lovely charming hotels located in peaceful towns, away from the potential crowds the summer season can attract. The hotels featured offer a very good standard of accommodation and facilities with their own characteristics, friendly atmosphere, warm welcome, personal service and wonderful local cuisine, just some of the key attributes. 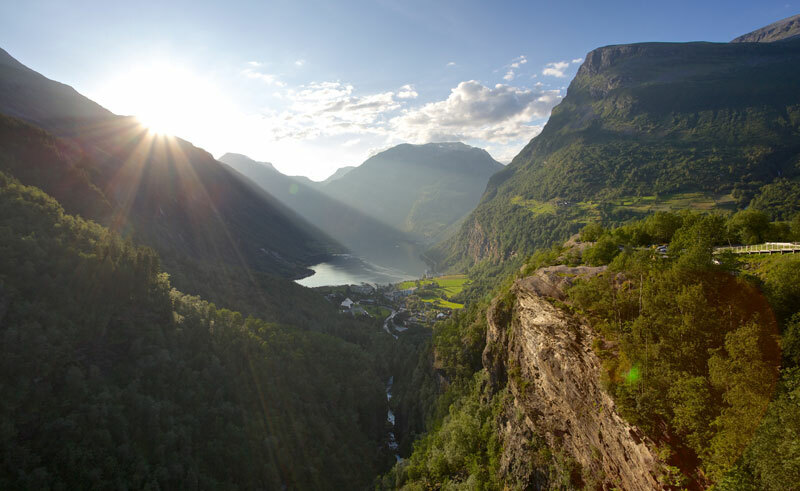 The locations are an ideal base to explore the fjord areas around Sognefjord, Geiranger, Nordfjord, Alesund and Jotunheimen and all offer plenty of opportunities to enjoy nature and the outdoor lifestyle with activities available on your door step. With this flexible self-drive you can either follow our itinerary suggestion or if you wish, amend the duration, resort or hotels to suit your personal requirements. Please take a look at the different hotels we've selected and don't hesitate to contact one of our Sales team to discuss your fjord travel plans. Fly to Bergen and on arrival collect your rental vehicle. Drive to BesteBakken Hotel (approximate distance 250 km) for a 3 night stay on half board basis. 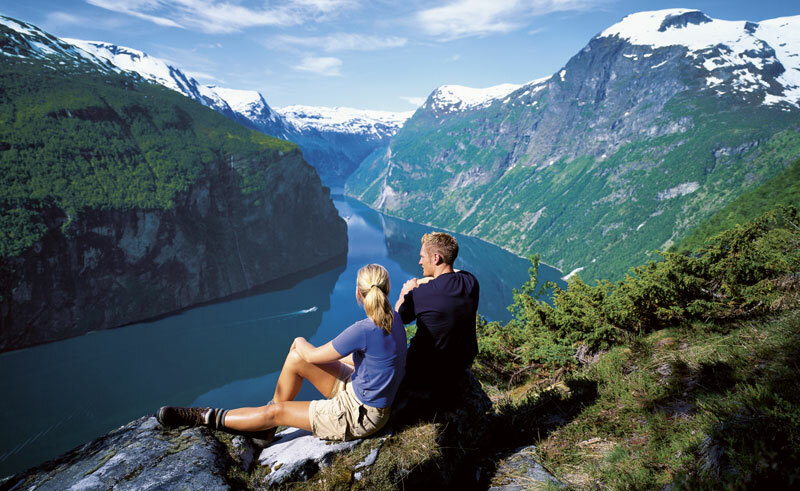 Spend time exploring Norway's longest and deepest fjord with places to visit including Urnes Stave Church in Luster, Jotunheimen National Park, Vettisfossen waterfall, The Flam railway, driving on Sognefjellsvegen, a National Tourist route and one of the highest in Europe or take a fjord cruise from Sogndal. Leave BesteBakken Hotel and continue to your next destination in the town of Hjelledalen (approximate driving distance 182 km). Hjelle Hotel will be your base for 3 nights on half board basis. 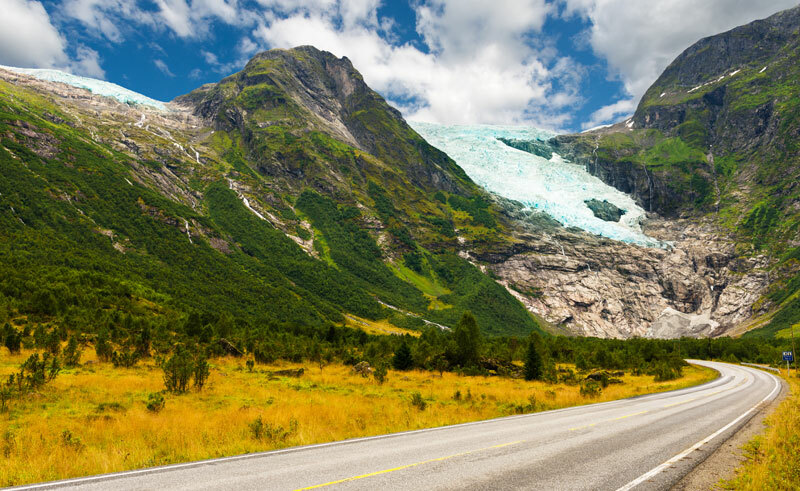 Spend two days at leisure to visit the beautiful Geirangerfjord, drive on the famous Trollstigen road, take a safari on the Briksdalsbreen Glacier in Jostedalsbreen National Park or join a thrilling RIB boat trip on the Nordfjord. 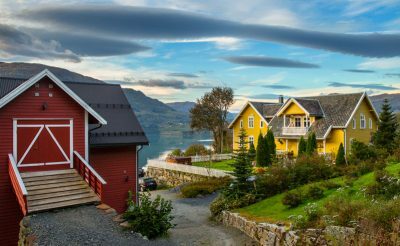 Drive south west heading towards Bergen and stop for an overnight stay in the town of Lavik on the west side of Sognefjord (approximate driving distance 207 km). Accommodation for 1 night on half board basis. Continue the journey to Bergen in time for your return flight (approximate driving distance 130 km). Set in a peaceful location in the small village of Hafslo just inland from the Sognefjord, BesteBakken is a lovely boutique hotel offering 15 individually decorated rooms. 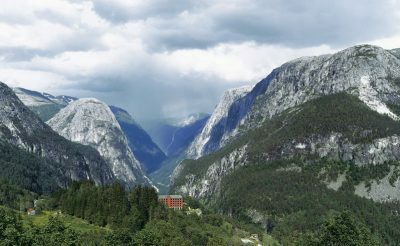 A 124-room hotel that is centrally located in Norway's fjord area, the Stalheim hotel makes the perfect base for exploring the area's indigo waters and ragged mountain range. 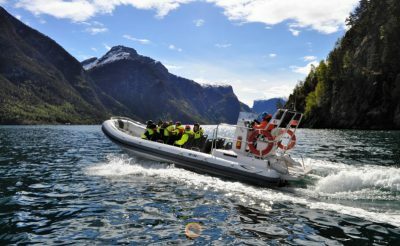 Why not experience seeing Geiranger Fjord at full speed?! With this flexible self-drive you can either follow our itinerary suggestions or if you wish, amend the duration, resort or hotels to suit your personal requirements. 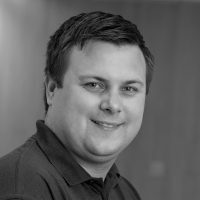 Please take a look at the different hotels we've selected and don't hesitate to contact one of our Sales team to discuss your fjord travel plans.